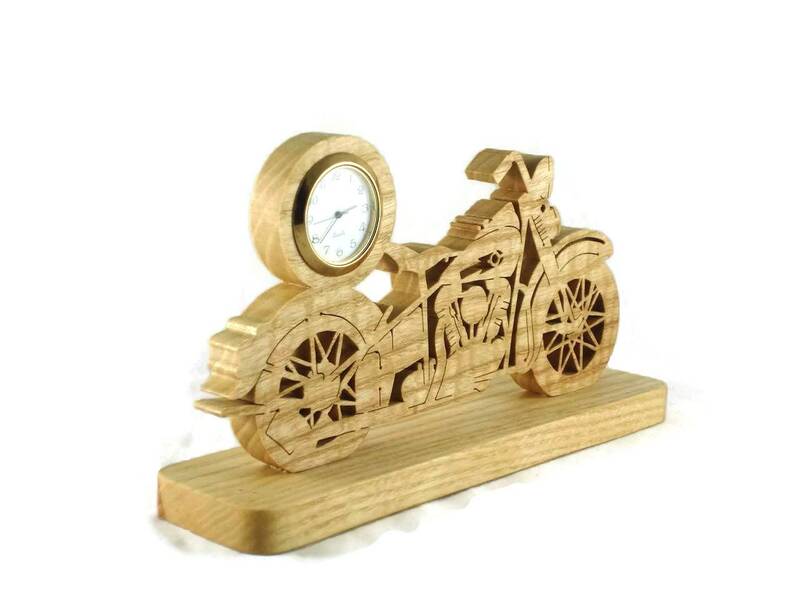 If you or someone you know is a enthusiast of vintage motorcycles then this is the perfect gift to treat yourself or someone you know. 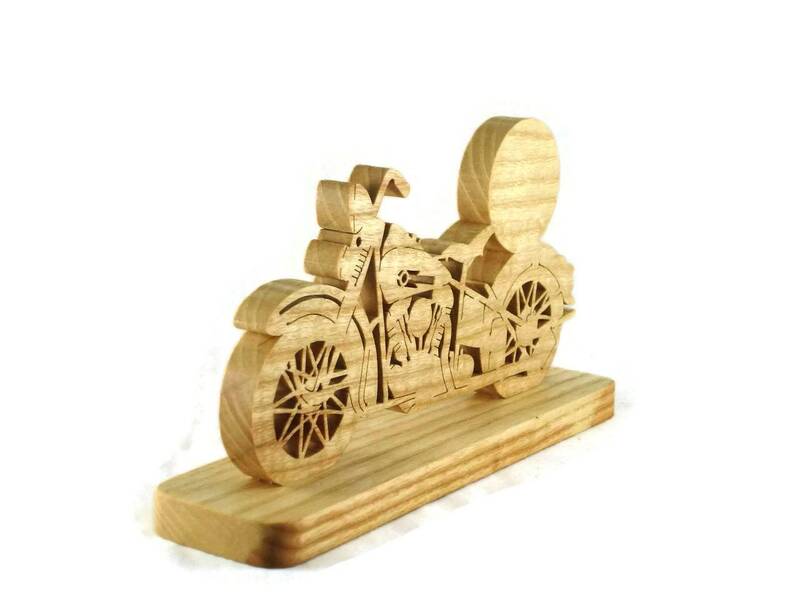 This vintage style motorcycle was cut out by hand using a scroll saw ( thus it is handmade ). 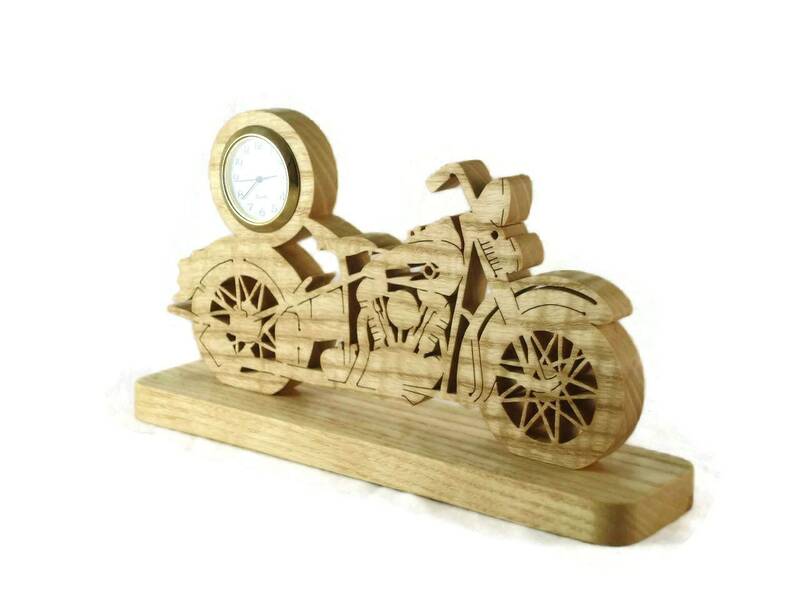 The 1/2 inch thick Ash wood used here was hand selected specifically for this motorcycle desk clock. 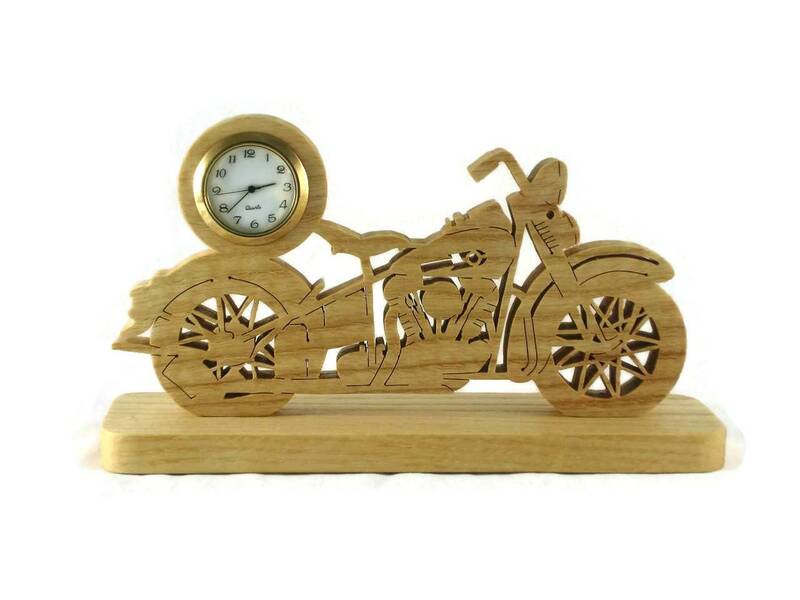 This vintage style motorcycle desk clock features a pan style seat, spoke wheels, twin cylinder motor with dual exhaust pipes. This clock portion is mounted on the fender and the seat pan. The mini quartz 1-7/16 inch clock insert features a ivory color face with black Arabic numbers, glass lens, and a gold plated bezel / trim. 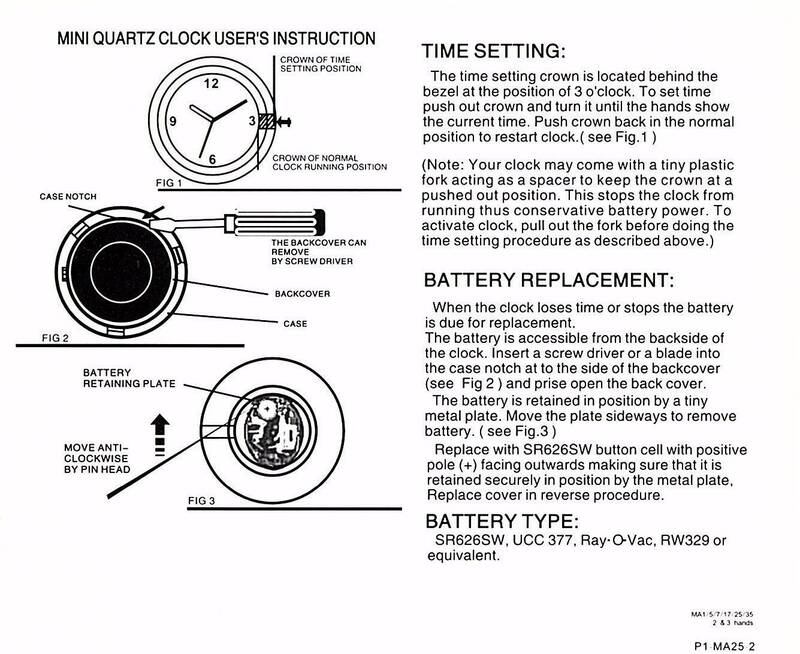 Clock comes with battery installed and is ready for you to activate. 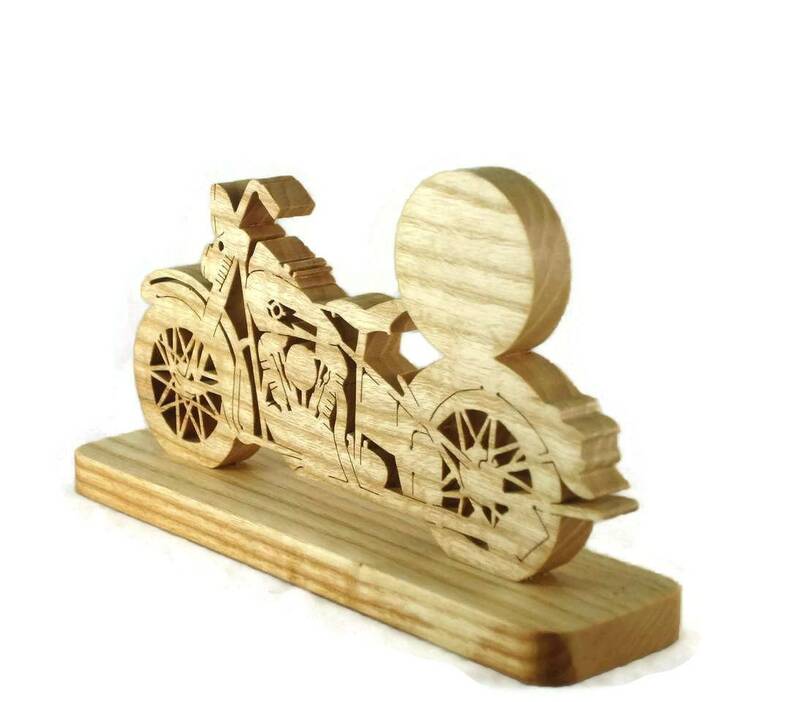 The motorcycle is mounted to a 2 inch wide by 8 inch long base using countersunk screws. This also has a homemade all natural non-toxic bees wax and mineral oil mixture finish applied. This finish gives the wood a real soft smooth feel to the touch and also is great protection for the wood and will keep its beauty for many years of enjoyment.